As we write this, it's nearly 70 where we live and our windows are wide open. Cold air will return later this week, but today we're enjoying the sounds of birds and wind chimes. This is our 99th issue, meaning next time is our 100th edition. 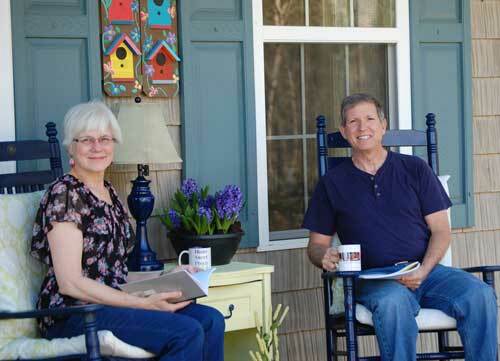 Dave and I have been bringing you porch ideas for over 10 years now, which is hard for us to even believe. Those ten years have been good years indeed and YOU have made it all worthwhile. What, a Porch That's Also a Storm Shelter? 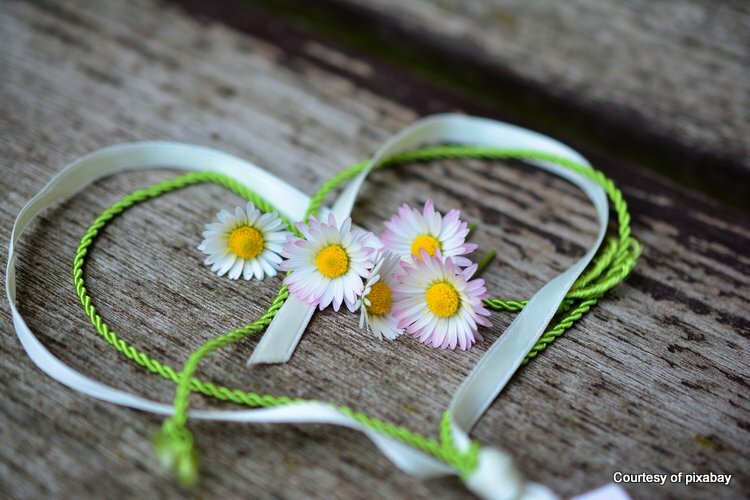 From our perspective, Valentine's Day (February 14th) is not just for couples; you can celebrate in many ways. To that end, the two of us designed these postcards that you can download, print and send to someone who is special in your world. Imagine how surprised they will be to be remembered on Valentine Day. Download your free cupcake Valentine postcard here. 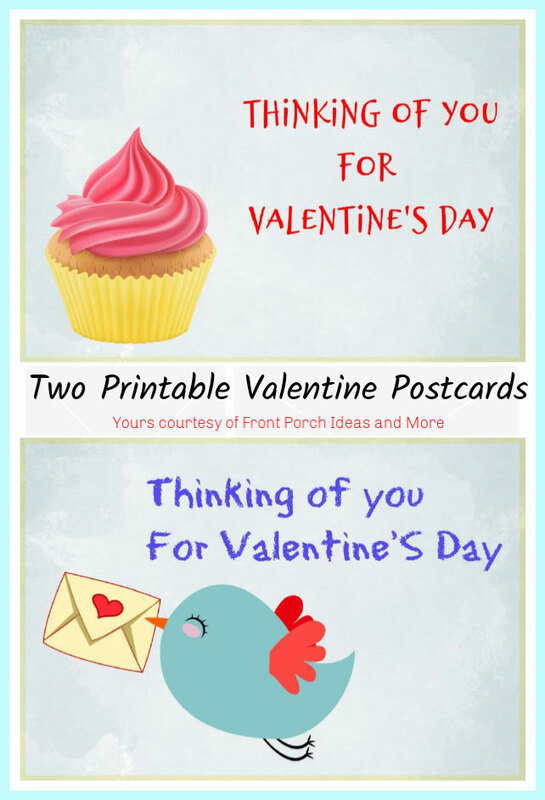 Download your free cute bird Valentine postcard here. The simple instructions are included in the download. Surprise someone with one of these cute valentines! 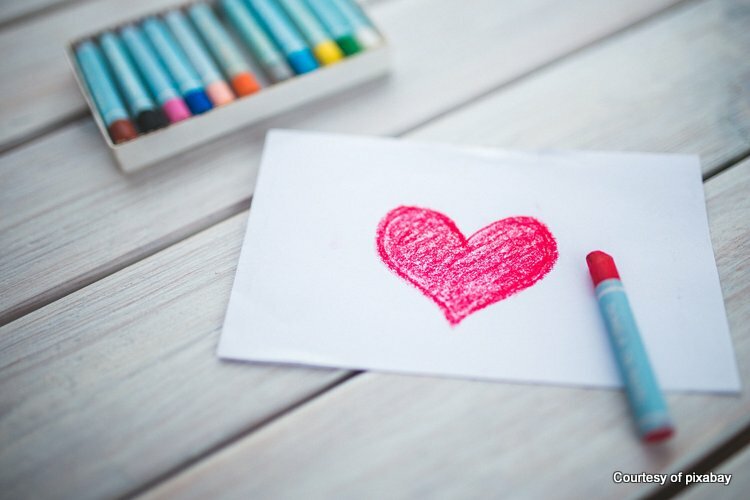 Or simply get out your crayons and make a Valentine. Either way, someone in your life will be happy with your thoughtfulness. Dave and I appreciate February because not only is it our anniversary month (47 years) but also a winter month, a season we both appreciate. February is a good month for snuggly days near a warm fire, a pretty snowfall out your window and a delicious box of chocolates. We like chocolate covered cherries. How about you? 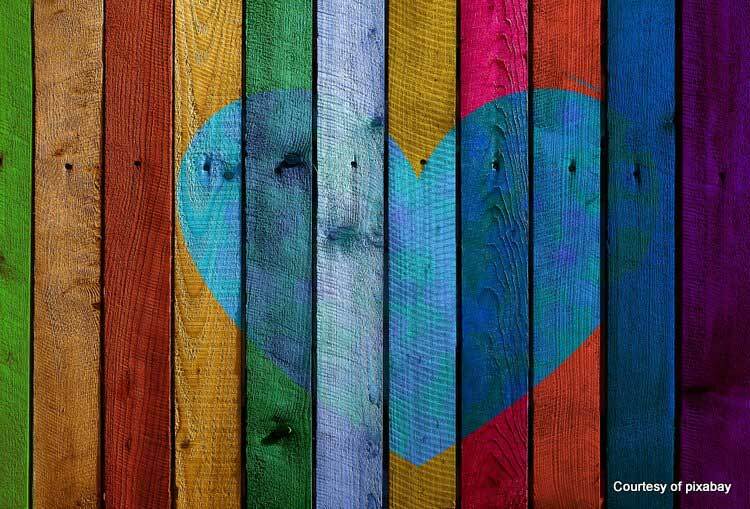 Is there anything special about February that you embrace? We hope there's something you like, even if winter isn't your favorite season. 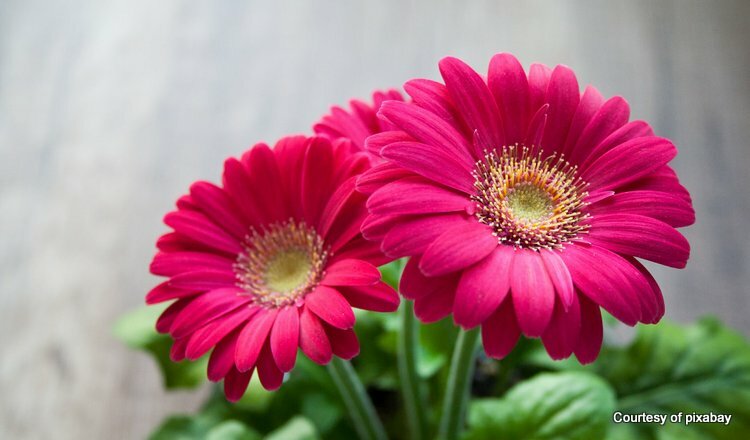 February, being the shortest month of the year, will pass by quickly. 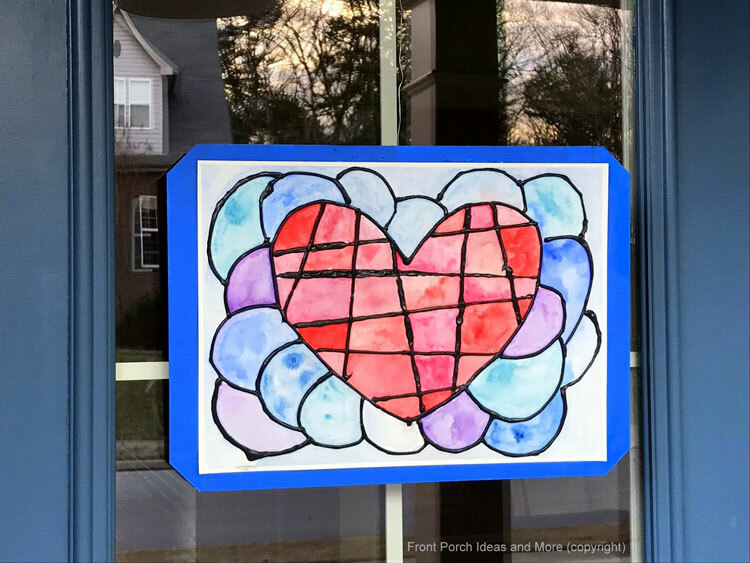 The mosaic art on our front door was inspired by a fun article I saw by Rachel on "I Heart Crafty Things". Simply by adding black paint to a bottle of white glue, you can create the stained glass look. Pipe it on and let it dry overnight before painting the beautiful colors using watercolor, acrylic or crayons. Whatever you wish. I had heard of this cute idea with the black glue way back last year. I used the inspiration for making our Valentine cards in 2018, so we thought, "why not for the front door"? We hope it gives you a bit of inspiration. 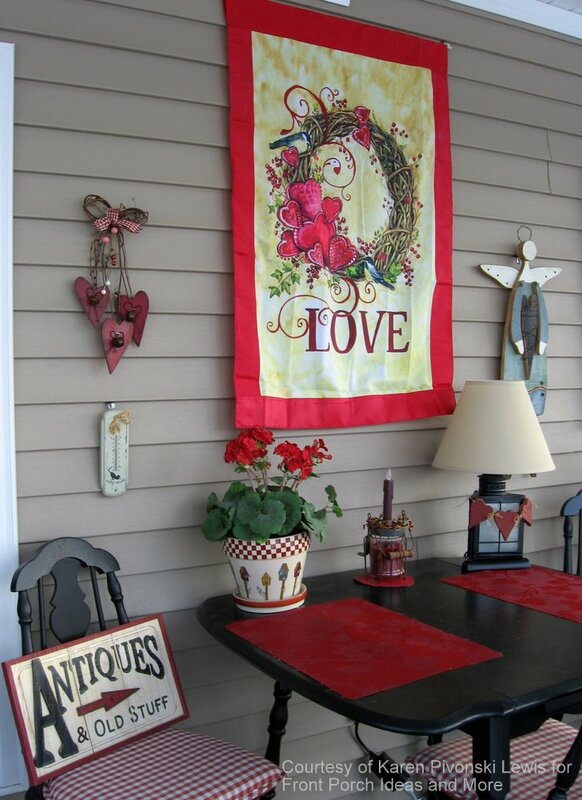 We appreciate Karen sharing her Valentine porch decor with us. 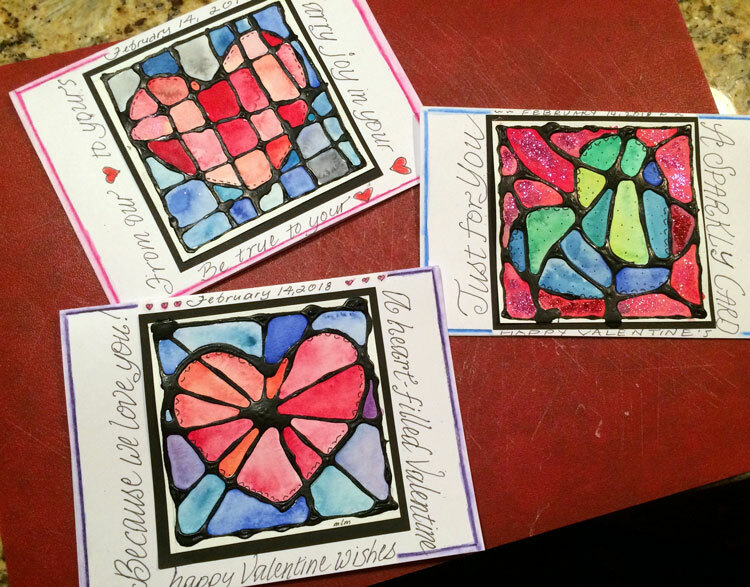 See more Valentine decorations here. We know it's only February but it is not too early to start planning how you can protect yourself and your family. It is well known that no one is immune from violent storms and tornados. In fact, they have occurred in the U.S. during every month of the year. Southern states are typically more prone to tornados from March to May; Southern Plains from May to early June; Gulf Coast in the spring; and Northern states and the upper Midwest in June and July. April, May, and June historically see the most tornadoes annually. A Porch That's Also a Storm Shelter? 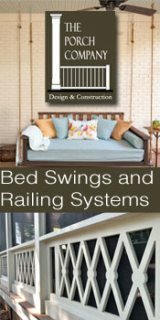 Dave and I discovered what we believe to be a very viable storm shelter for you - especially if you live in a mobile or manufactured home or if your home is built on a slab. We really like this option as it can have a dual function in many cases. Whereas traditional tornado shelters are typically used during a storm, this option called a SafePorch can double as your porch or deck. 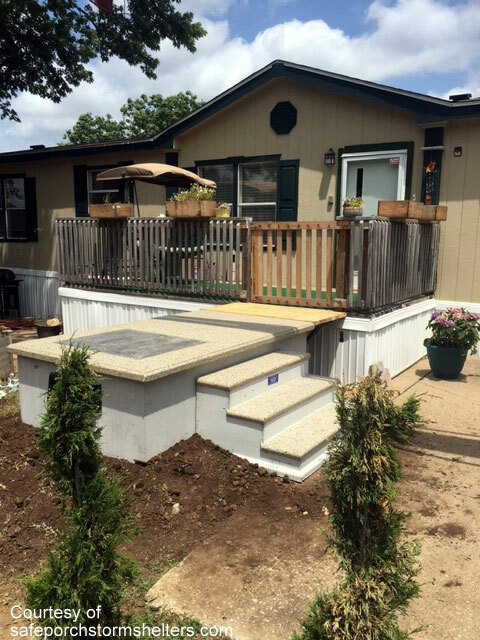 Only seconds away from your living space, a SafePorch provides maximum security and safety while simultaneously adding usable outdoor space. 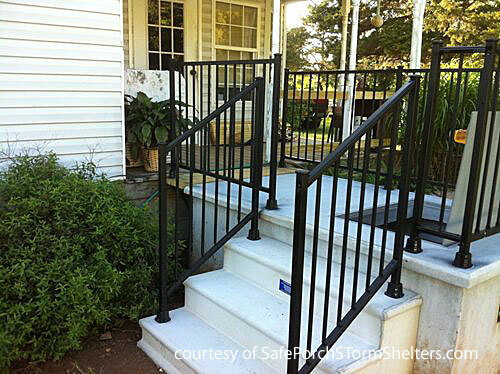 Visually appealing, the SafePorch doesn't even look like a typical storm shelter. Here in middle Tennessee, we are barely, just barely, seeing a few hints of spring in early February. Take a look at what I saw in our yard just yesterday already. 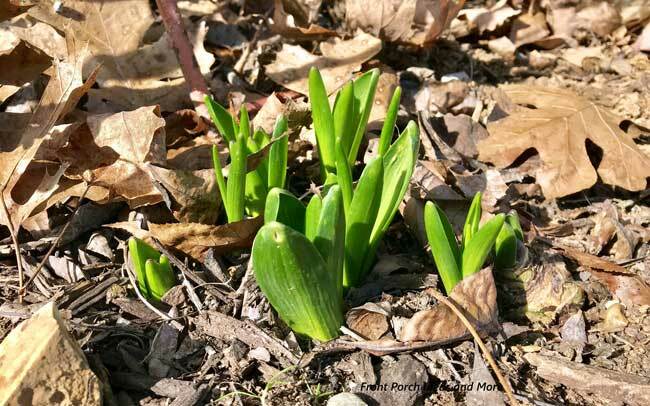 As we were cleaning up leaves and hickory nuts in our yard on a balmy day in February, we came across several of our hyacinth bulbs already popping up. We hope it's not too early as I'm sure we'll still have some cold weather here. But for now, it's fun to see Mother Nature preparing for spring. And then look at what we found! On a walk near our home, we came across this beautiful golden patch of daffodils. 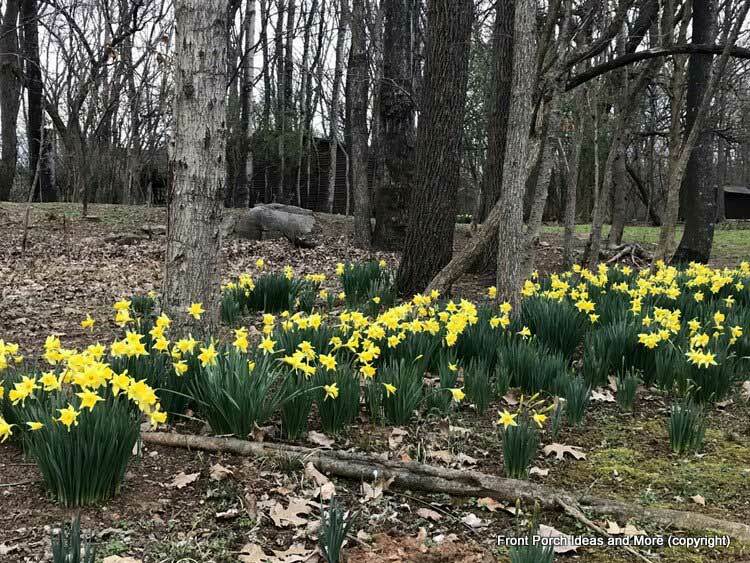 We met the homeowner, Howard, who told us they are called "early daffodils". And we must agree that for February 5th, it is early to see such a lovely plot of yellow beeauties. 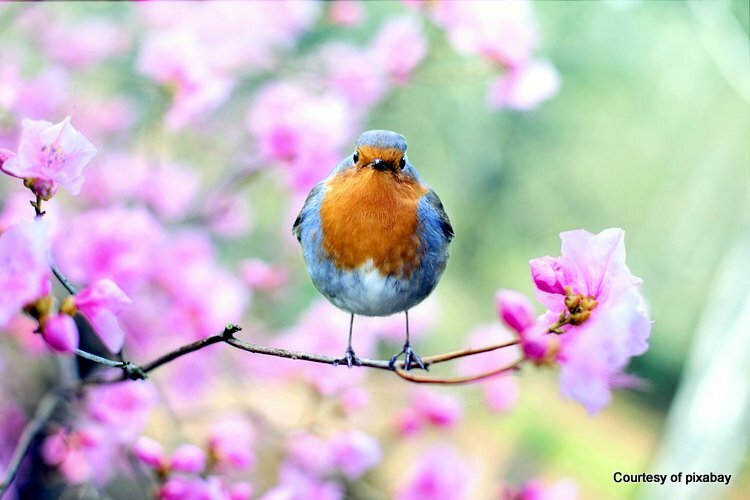 It won't be long, friend, before we see beautiful signs of spring like this! So hold on and be patient. May you find blessings in your every day life. They are there even if you have to dig a little. 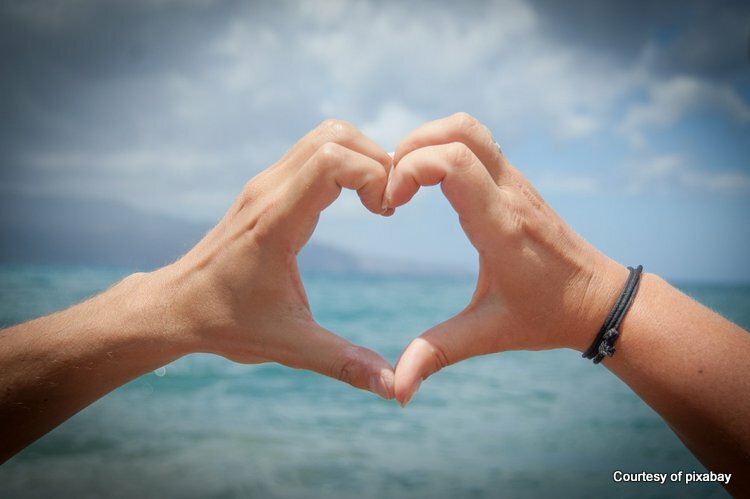 This is what we're wishing for you today: A feeling of goodness in your heart. In this busy, crazy world, Dave and I sure appreciate you taking the time to read our newsletter. Take an unhurried moment, if you like, to relax and think of enjoying the wonderful porch above. All of us need a little pick-me-up from time to time to lift our spirits and we hope your spirits are lifted today. Even in the darker days of winter, there's much to be grateful for and beauty in our world. 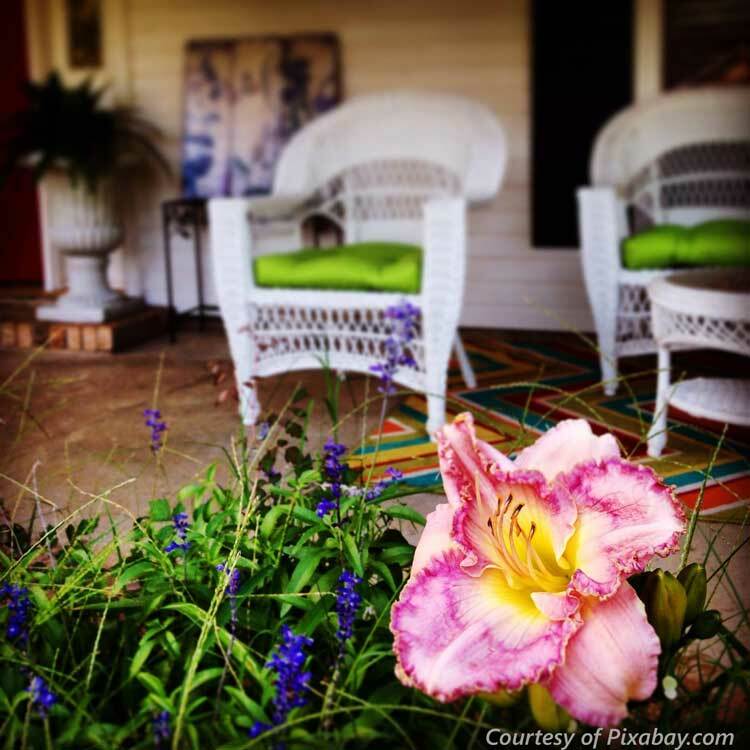 The thoughts of springtime on the porch might be just what is needed today. PS: Please don't forget to download our free Valentine printables.